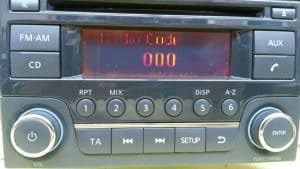 we can now repair all Nissan CD units with display faults same as pic attached . these units LCD tends to fade as they warm up . complete replacement of unit was only solution ………until NOW ! we can repair 100% ………just like a new unit .